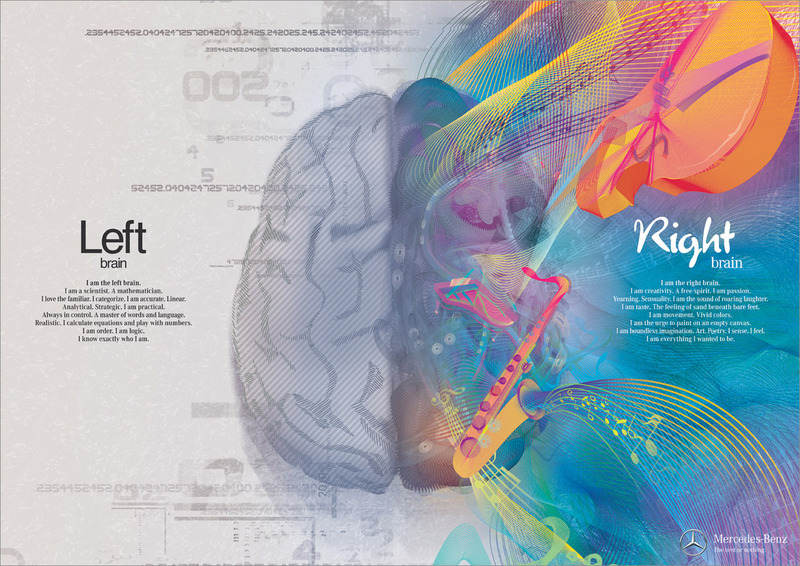 Were you told that left-handers are more creative because they use more of the right side of the brain? Have you secretly tried to use your left hand to write in hopes of becoming more creative? Perhaps you’ve seen a picture of how the left brain is more analytical and your right brain is more creative? This picture? Well, it’s wrong. The right brain isn’t in charge of creativity. Creativity consists of many interacting processes that occur between various regions of the brain. These interactions can be conscious, unconscious, rational and even emotional. The difference is the type and intensity of interactions that occurs throughout the different stages of creativity. According to Bressler and Menon, these dynamic interactions that occur on a large scale network helps us develop new insights. But what about creative awareness specifically? Are there certain brain regions that are more engaged in the creative process? This is the network that keeps us focus. It blocks out distraction and locks on to the task at hand. Such tasks can be listening to podcasts, solving a mathematics problem and writing a blog entry. This network helps us dream of alternative scenarios and situations. According to Buckner, this network uses our experiences to create a mental simulation for the present and/or future. The Salience Network guides our decision-making process by taking in external information, evaluating its prominence and creating a suitable response. As Seeley says, it preps the brain for action. According to Jung, Carrasco & Flores, creative cognition is a balancing act among these networks. To be more creative, we need to disengage slightly with our Executive Attention Network to step away from the task at hand. Simultaneously we need to engage our Imagination Network, which lets us examine the task with a new perspective. Once we can conscious tweak this brain activity, our Salience Network will be able to take in more of alternative scenarios and test their relevance in our task at hand.